Choosing the right sedan when you’re torn between the 2019 Honda Accord vs. Nissan Altima isn’t as easy as you’d think. Both of these sleek and stylish sedans offer a lot to their respective drivers, but it’s their differences that you should really be aware of. 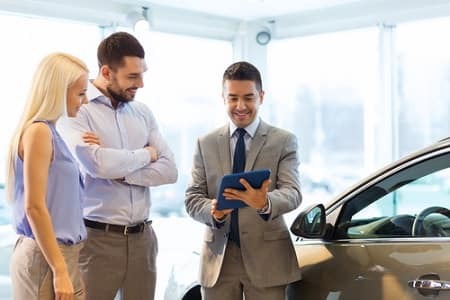 At Norm Reeves Honda Superstore Huntington Beach, we’re here to assist drivers in Huntington Beach, Westminster, and Orange County with determining which of these sedans is right for them. Keep reading this Accord vs. Altima comparison to learn what these vehicles offer so you can see which one appeals to you the most! Both vehicles offer impressive performances, and despite having different engines, they come close in output. The Honda Accord comes standard with a 1.5-liter 4-cylinder turbocharged engine that’s capable of producing 192 horsepower and 192 lb-ft of torque. The Nissan Altima, on the other hand, is packed with a 2.5-liter 4-cylinder engine that hits its peak at 188 horsepower and 182 lb-ft of torque. Each vehicle’s engine comes paired with a Continuously Variable Transmission, which provides efficient gear transitions and smooth accelerations. The Accord and Altima each come outfitted with high-resolution touchscreen displays that are more than 6.5-inches that provide access to the assortment of features. Each vehicle includes Bluetooth® connectivity for both hands-free phone use as well as audio streaming. Both sedans also include standard AM/FM radios, USB ports, and auxiliary inputs for portable media devices. Additionally, the Honda Accord features Pandora® compatibility which lets you listen to customizable internet radio stations. The Altima, on the other hand, doesn’t feature Pandora® with its suite of entertainment features. Both the Honda Accord and Nissan Altima come equipped with driver-assistance features that use exterior sensors to detect objects in your path while measuring your speed and proximity. Each vehicle features pre-collision systems to forewarn the driver when there’s a possibility of an accident to help the driver execute evasive maneuvers or preventative measures. The Honda Accord has a major advantage in this category because the Altima driver-assistance stops there. The Accord, on the other hand, is also equipped with helpful features like Lane Keeping Assist System, Adaptive Cruise Control, Traffic Recognition System, and Road Departure Mitigation System. Similar features are available on the Nissan Altima—but only after a few upgrades. Did this Accord vs. Altima comparison help you get a sense of the similarities between these two sedans? How about their differences? While you’re well-aware of the Accord and its notable advantages like higher horsepower, more amenities, and driver-assistance features that don’t require you to upgrade, you need to learn some more things like the trim and color options, as well as how the vehicle handles itself out on the road with you behind the wheel. Come see how the Honda Accord performs on the road by scheduling your test drive with us at Norm Reeves Honda Superstore Huntington Beach. 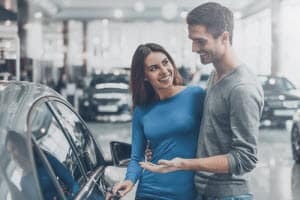 We’re here to help drivers in Huntington Beach, Westminster, and Orange County for when it’s time to decide on their next car!